Fixed Interest Rates – Your interest rate is fixed for a period, normally between one and two years. The problem with your fixed interest rate is that it will be slightly higher than the prime home loan rate when the loan is taken out plus you don’t get the advantage of rates discounts and drops in the prime rate. The advantage of a fixed rate is that it protects you from rising interest rates and gives you the comfort of knowing what your monthly payments will be. Variable Interest Rates – With a variable interest rate loan, your interest rate is linked to the prime home loan rate which can vary depending on market conditions. This does however change seldomly. If the prime interest rate decreases by one percent, so will your interest rate, and of course if the prime rate increases so does your home loan rate. It seems to be the norm in South Africa right now especially with the exciting and volatile market that we have. Most bond originators in South Africa would recommend a variable rate too. WIZARD DOES! The interest rate is calculated daily on an outstanding balance and is capitalized/debited monthly. Installments must be paid on the required installment due day and monthly repayments must be paid in terms of your mortgage loan agreement. 1. 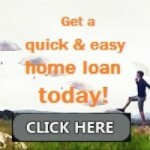 A ordinary loan tailored according to your lifestyle and your budget. 4. Costs included in your bond are normally associated with first time buyers loan however second time buyers used to be able to apply for this option if needed (terms and conditions apply). WHAT DOCUMENTS DO YOU NEED? Click for the complete list of documents needed for different types of loans.